While I was at the Butterfly Park & Insect Kingdom in Singapore, I also saw a few cool birds. 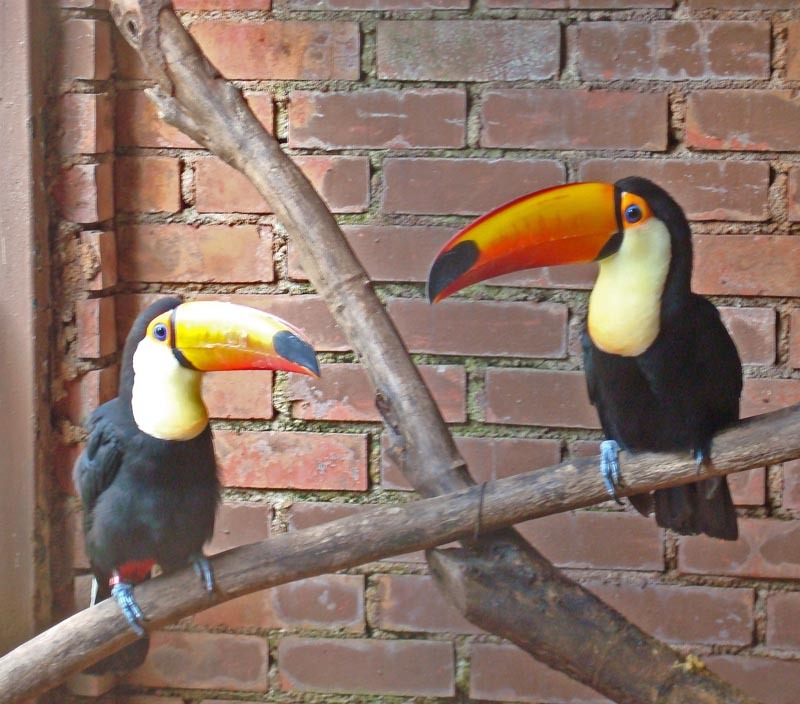 The toucans (pictured above) are beautiful birds, and they’re much prettier than the Fruit Loops mascot Toucan Sam would lead you to believe. Their bills are large and colorful, and I learned that toucans use their bills to regulate the temperature of their bodies and to intimidate smaller birds. Their bodies and legs are rather compact, and their feet look kind of strange, with pairs of toes pointing both forwards and backwards. Toucans primarily eat fruit (their long bills can help them grab fruit other birds might not be able to get to), although they sometimes eat small insects as well, and they typically live in pairs or with just a few other birds. I also saw a few lorikeets (one is shown above), a type of bird I’ve become accustomed to seeing in Melbourne. These little birds often have a full rainbow of colors on them (hence, the name of one species, the Rainbow Lorikeet), and they have funky tongues with tiny bristles on the tips for feeding on the nectar of plants and flowers and eating soft fruit. Lorikeets are very agile fliers, and they often have cute, clownish personalities. 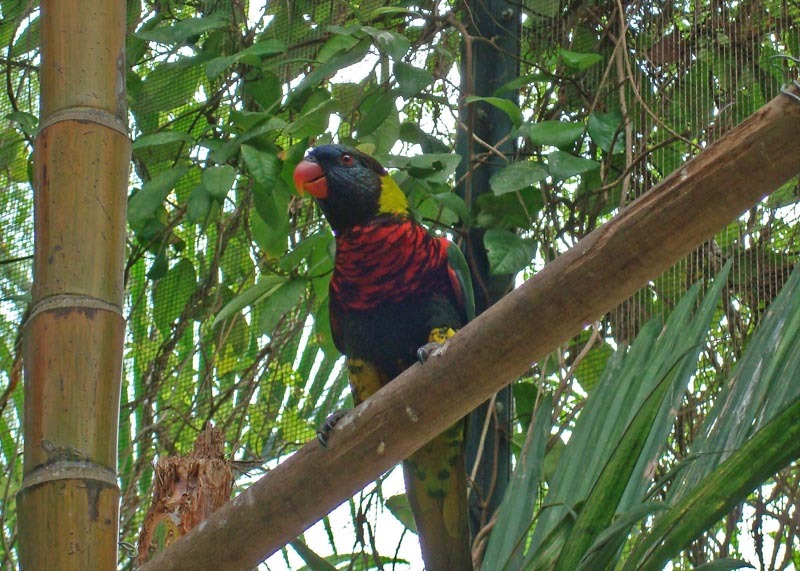 04 Apr This entry was written by Kathy Keating, posted on April 4, 2010 at 10:52 am, filed under Animals, Asia and tagged Animals, birds, kathy keating, lorikeet, melbourne, sentosa island, singapore, toucan. Bookmark the permalink. Follow any comments here with the RSS feed for this post. Both comments and trackbacks are currently closed.